Taverns are coming in Minecraft thanks to this mod. 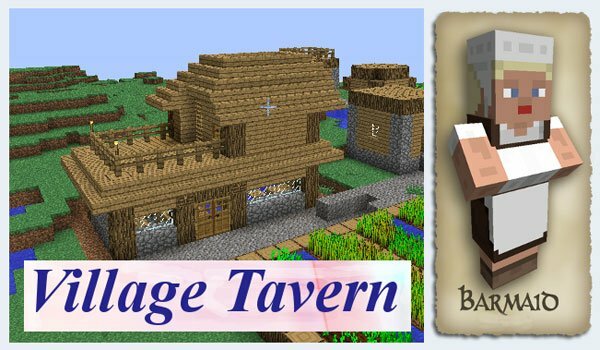 Village Taverns 1.7.2 and 1.6.4 is a simple mod that takes care of adding a new building for the villages of Minecraft: a tavern. In the pubs find a place to take refuge, as it features a king bed and chest where find some random resources, plus basics like an oven, a shelf for potions, in conclusion, one building more to dynamize the villages. In the bar area, find a waitress who buy and sell basic potions. How to install Village Taverns Mod for Minecraft 1.7.2 and 1.6.4? You have a tavern in the village! Can you use a command to build a village? Like, /buildvillage?